Japanese Maple after spring pruning - beautiful trunk, branches and wonderful light! Upon first glance, it might be hard to even tell this is a tree not a large shrub. Under previous ownership, it use to be sheared every year into a round ball. Now the goal is to have a more natural shaped canopy as well as open it up so the interesting branches and trunk can be viewed. Oh, and look like an actual tree! You will notice in the “before” picture how dark it is under the tree and how you can’t even see the branches or trunk but in the “after” picture, dappled light makes the whole garden seems lighter and breathe easier. I admit I pruned the juniper in the background as well but that is another story! 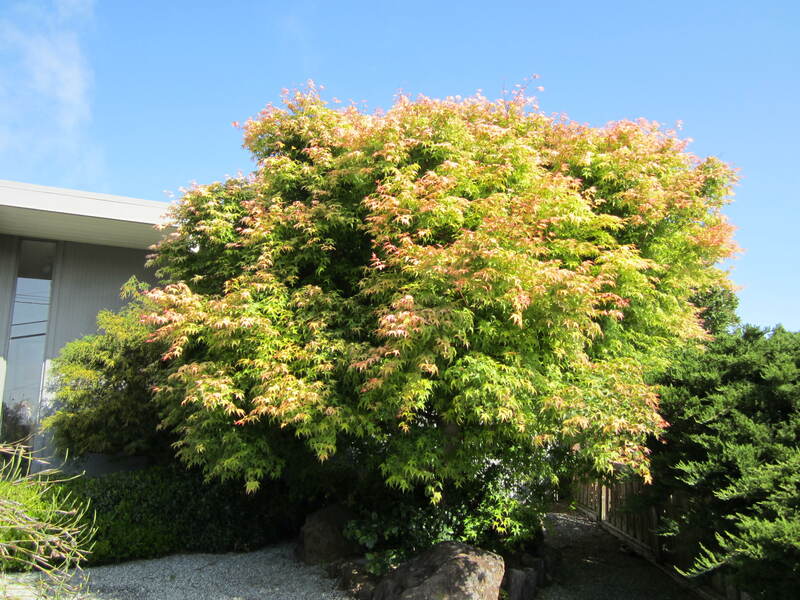 This is a familiar scenario –Large Japanese maple, close to the house with the original design intent long forgotten. It may take a few years of spring and winter pruning to get the tree back to looking like a tree and not a lolly pop but each season I am more impressed with how the tree is revealing its true essence. 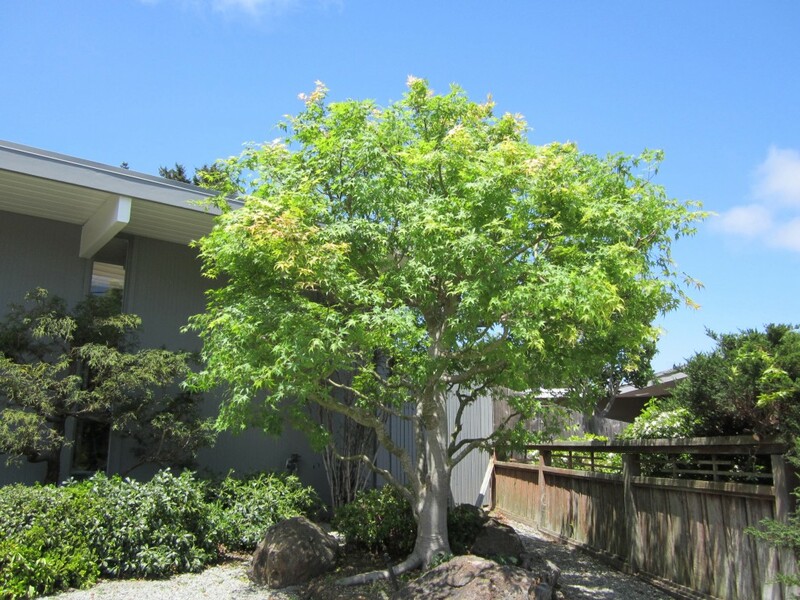 This entry was posted in Japanese Maple, Pruning and tagged close to the house, Essence of a tree, Japanese Maple, San Mateo, spring pruning. Bookmark the permalink.